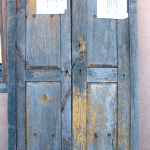 Custom double gate with grilled shutters made using antique Mexican doors and salvaged lumber. 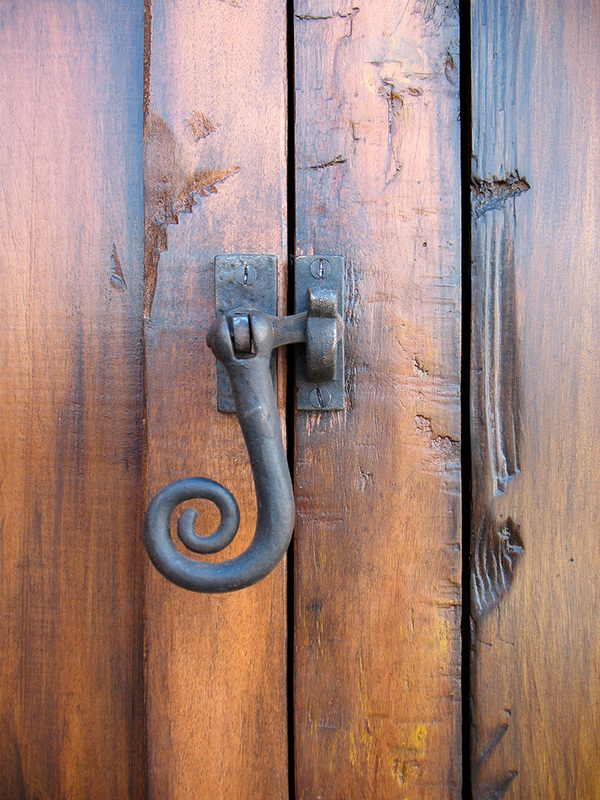 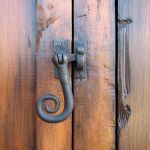 Hand forged grillwork was made for the operable shutters that lock with pigtail latches. 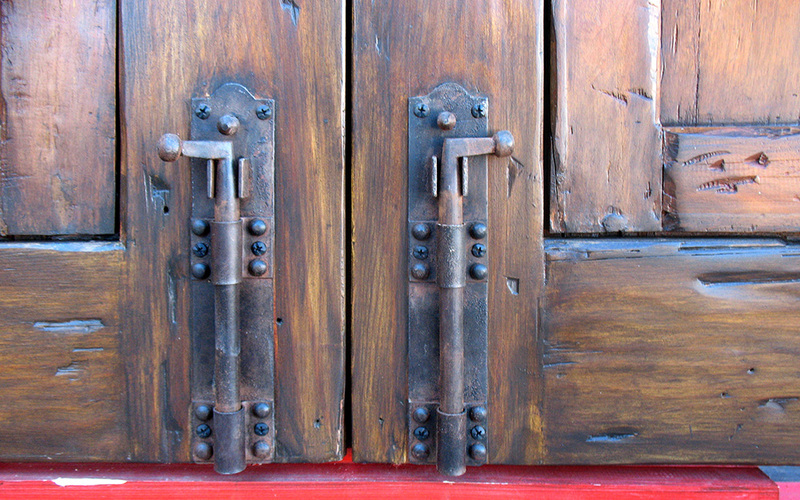 The original flat clavos were replaced with domed iron clavos. 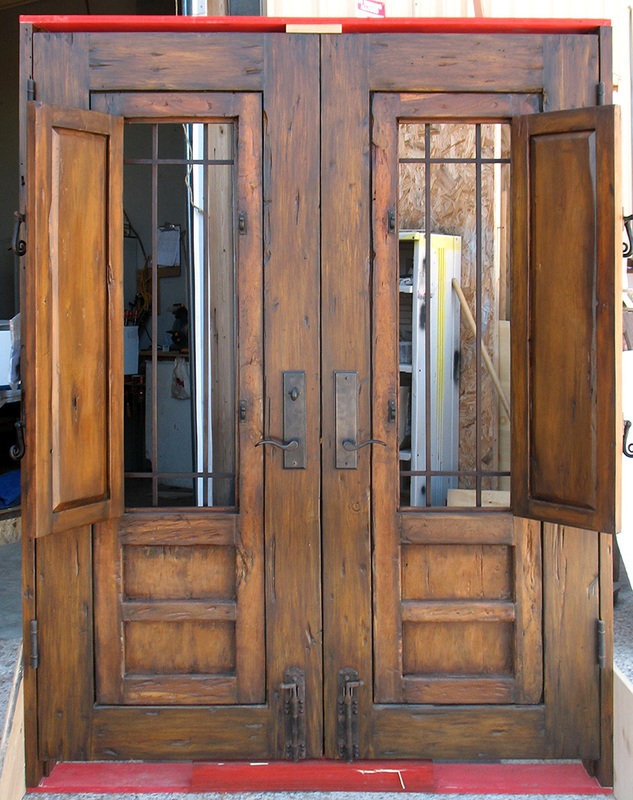 The gates also feature a cast entry set with thumb latch, dead bolt with teardrop key flap and foot bolts. 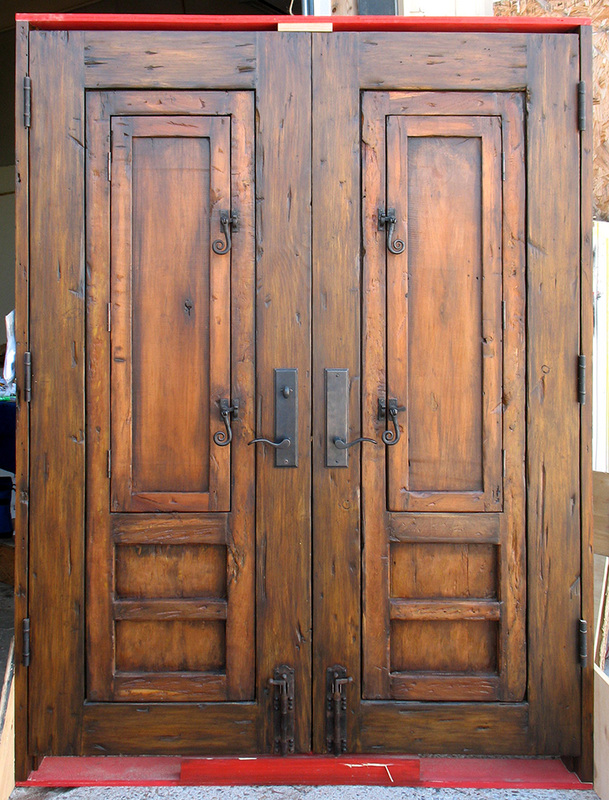 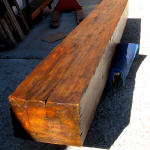 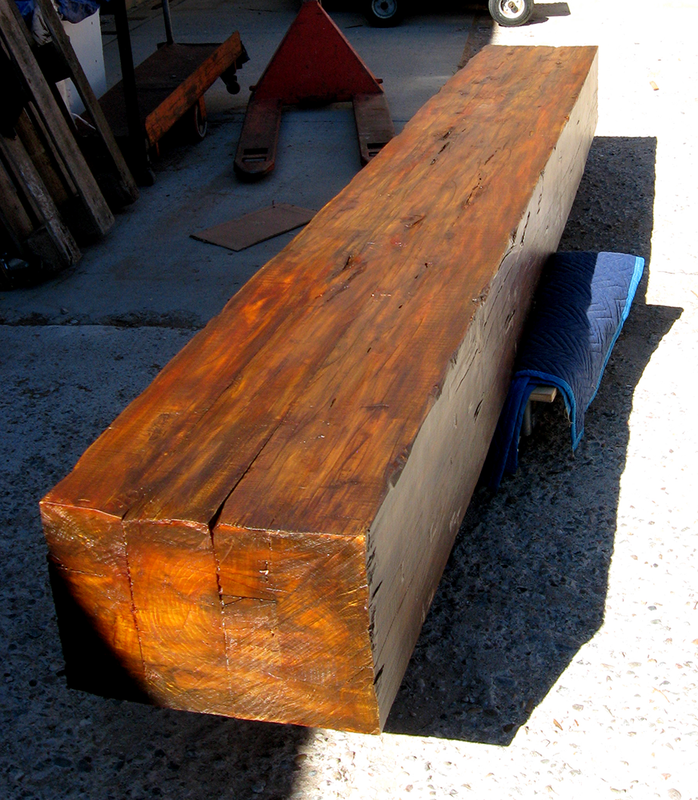 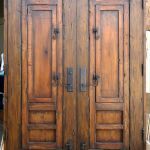 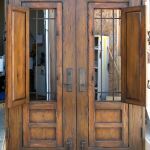 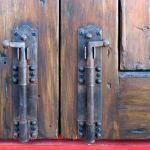 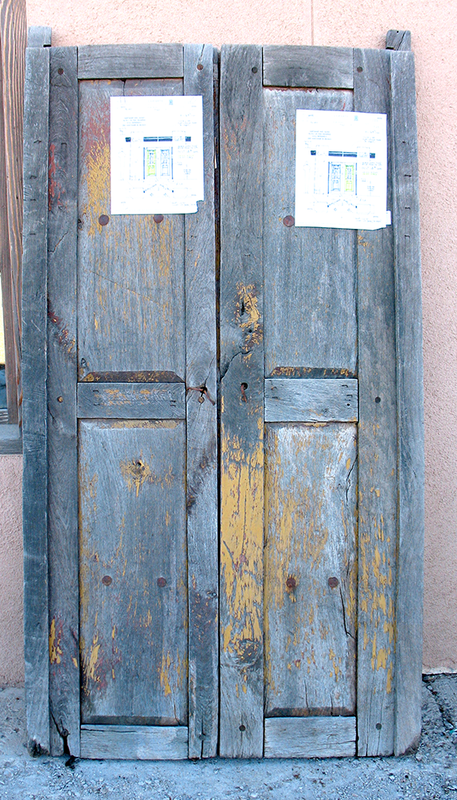 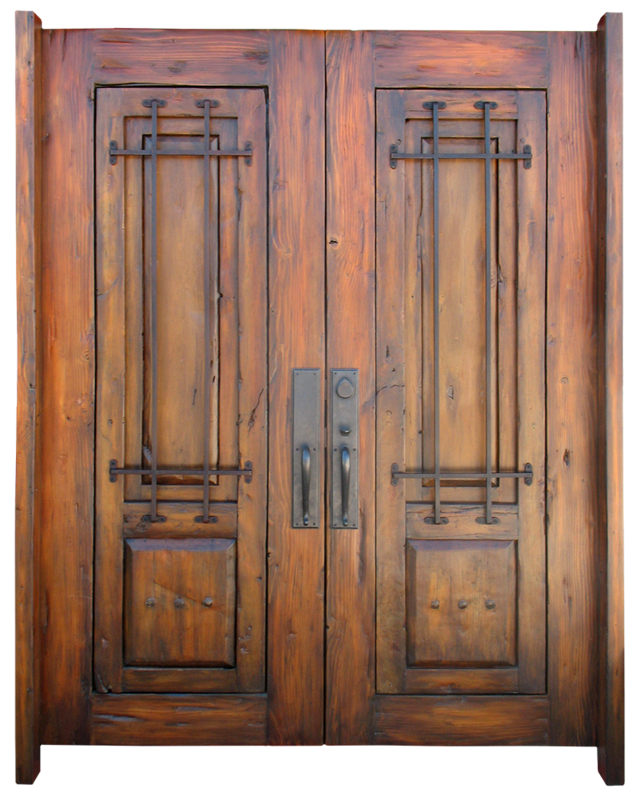 The detail photos show the pair of antique Mexican doors used to make the gate, hardware and the enormous header made from a salvaged barn beam that will top the gate.